Specializes in dealing severe single target Magic Damage. Disrupts enemies with Blinding attacks and can Transform enemies into a harmless duck. Call a bolt of lightning down from the heavens, inflicting massive Magic Damage on a single enemy. Use powerful magic to temporarily turn a single enemy into a harmless duck, reducing their Magic Armor. 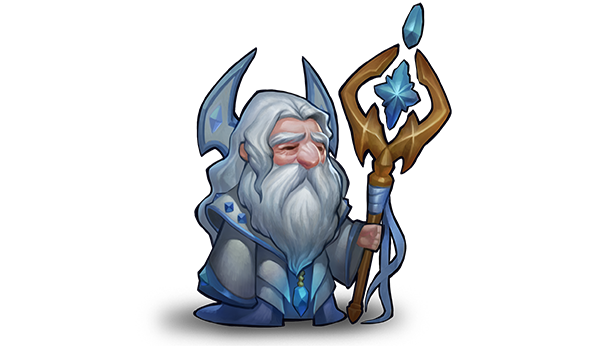 Summon an arcane blast which deals Magic Damage to a single enemy and Blinds them. 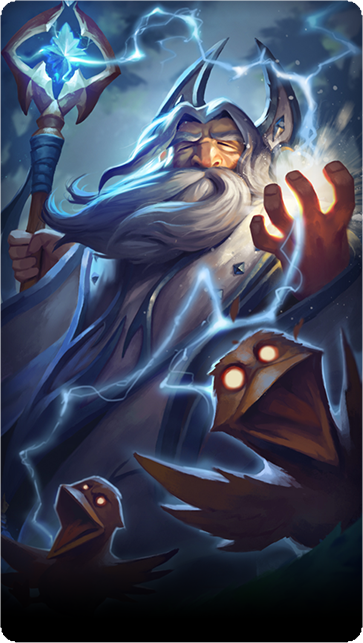 Alastair's wisdom gives his teammates an advantage in battle, increasing their Magic Attack.